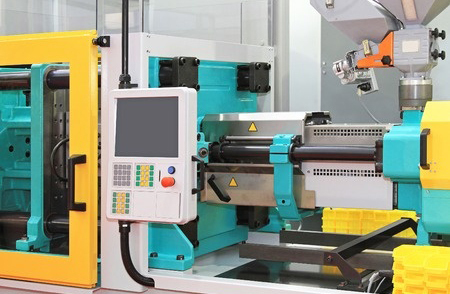 CCG was contacted by the owner of Engineered Plastics (the “Company or “EP”), a leading custom plastic injection molding and assembly company to act as its exclusive representative in the recapitalization and sale of the Company. The owner of EP was interested in finding a financial partner to help pursue identified growth opportunities within its industry, expand the new recycling arm of its business, and allow the current owner to have a partial liquidity event while still remaining with the Company and retaining a meaningful portion of the business. Initially, CCG spent significant time with the owner to fully understand his criteria in connection with a prospective buyer/financial partner to ensure only those that were the “right fit” be brought to the table. One particular requirement of the owner was that the financial partner/buyer could not be a competitor and had to have a long-term investment horizon that would exceed the typical timeframe of private equity investors. After identifying and vetting an initial group of approximately 15 buyers, CCG narrowed the field to six prospective buyers to present to the owner of EP. Upon review, this list was narrowed to five. Each of these prospective buyers was granted a tour of the facilities and provided the opportunity to meet with management. All five provided a letter of intent (LOI), representative of the strong interest and appropriate fit of the prospective investors. After thorough analysis and elicitation of the final and best offers from the prospective parties, one group was selected to enter into formal due diligence. CCG assisted in the preparation of a confidential memorandum, management presentations, negotiations of the LOIs and all other marketing and due diligence materials. The selected financial partner/buyer was comprised of former owner/operators of similarly sized businesses as EP, who held an investment philosophy aligned with EP’s former owner: building value over the long-term. They were pleased to pay a reasonable price for the business (valuation multiple of 5.5 times EBITDA), allow the former owner to retain a stake in the business, provide additional equity and financial incentives to the management team post transaction, and provide the former owner with similar compensation and perquisites that he had enjoyed during his ownership. The transaction closed within an appropriate timetable, under substantially the same terms as the LOI and to the mutual benefit of the parties involved. Post-transaction, EP has continued its growth, and CCG, through one its principals, remains involved as a board member of the post-transaction company.